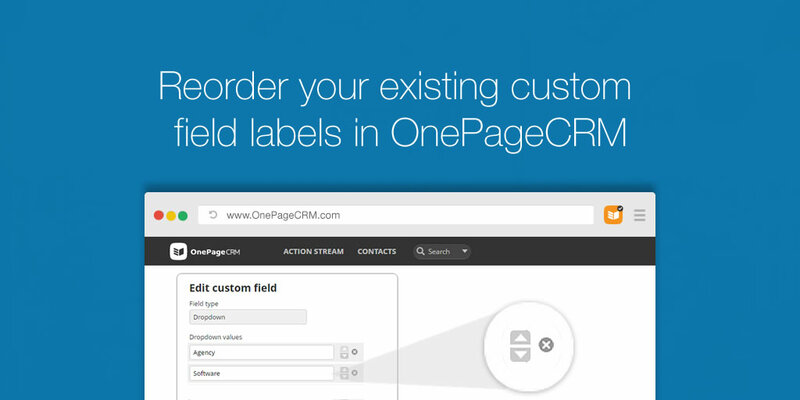 You can now reorder your custom field checkbox and dropdown labels in OnePageCRM. Simply click on the label you wish to move, it’s that easy! Custom fields allow you to log additional information associated with your contacts in dedicated fields in OnePageCRM. 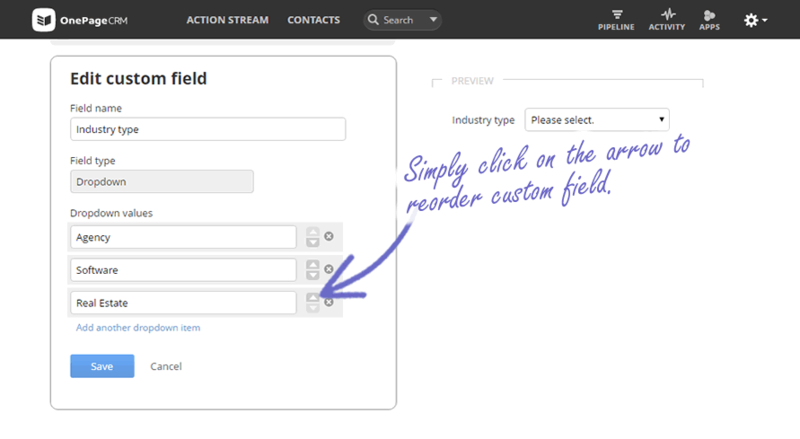 There are three types of custom fields: Contact custom fields, organization custom fields and deal custom fields. In order to find the results of the data in these fields you can run a filter (and save it if you wish). To re-order dropbox and checkbox custom fields in OnePageCRM, click on the upwards / downwards arrows and move it to the desired position. Better management: In the case of checkbox and dropdown field labels, if you add additional field labels or values to existing fields, you can always re-order them alphabetically to make them easier to find and/or prioritize in order of importance. Increased Productivity: Eliminates manually having to delete and re-enter custom field data when new options are added to the dropdown or checkbox fields. Saving you time! As with all our updates, we’re excited to hear how they help your workflow. 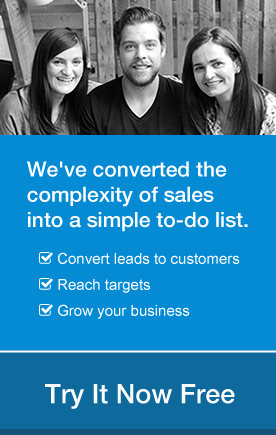 If you have any feedback, please tweet us @OnePageCRM, comment below or contact me at evelynod@onepagecrm.com.